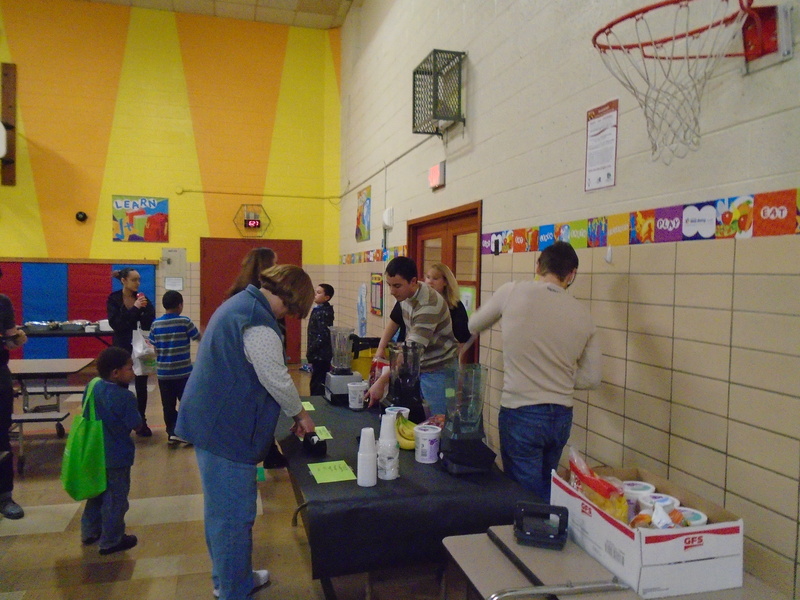 One of the lower elementary schools I work with put on a Health Fair last month. 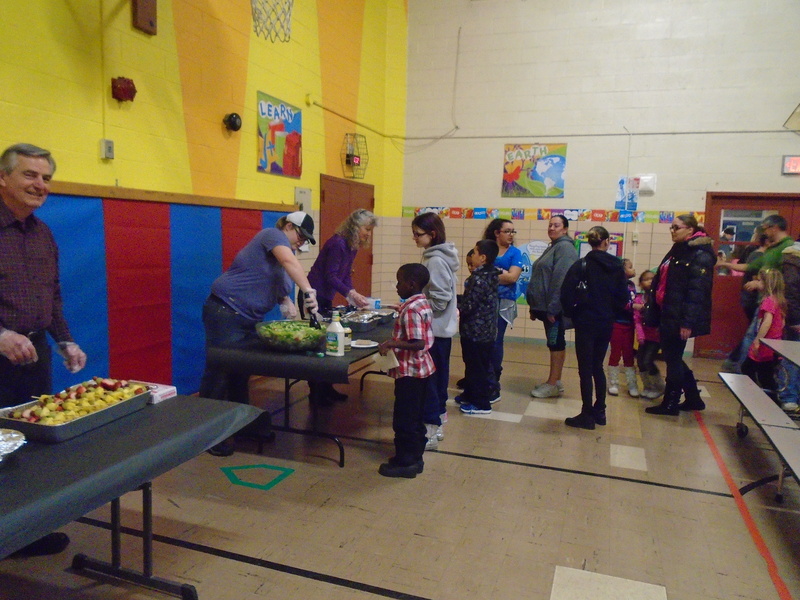 There were many wonderful community partners present focusing on various aspects of health and wellness. When visitors entered the building, they checked in, were given a map, and a bag to keep all their treats! I had some handouts and a QR code that linked to all the healthy-living apps I was recommending. 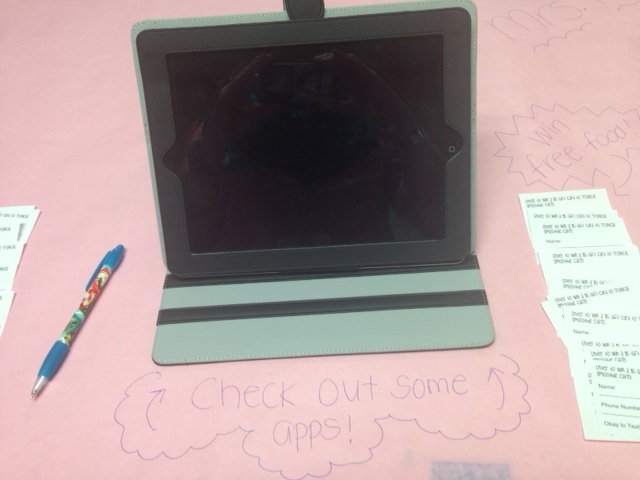 Visitors to the booth could use the iPads to play around with some of the apps. 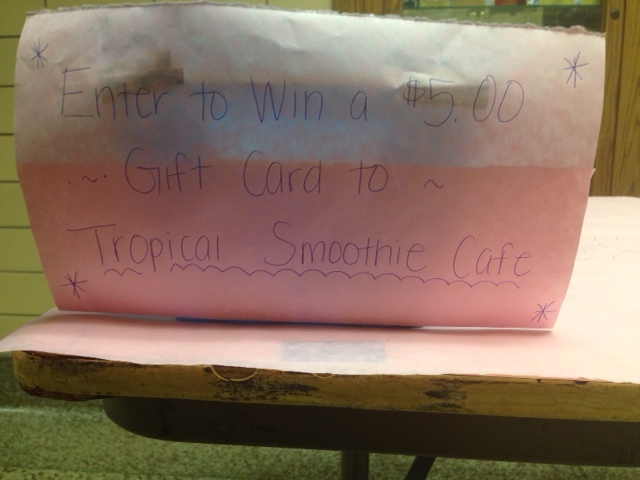 Visitors could also check enter to win one of two $5 gift cards to Tropical Smoothie Cafe – an AWESOME and deliciously healthy food option. I had a lot of fun talking with many of the students I work with and their parents. 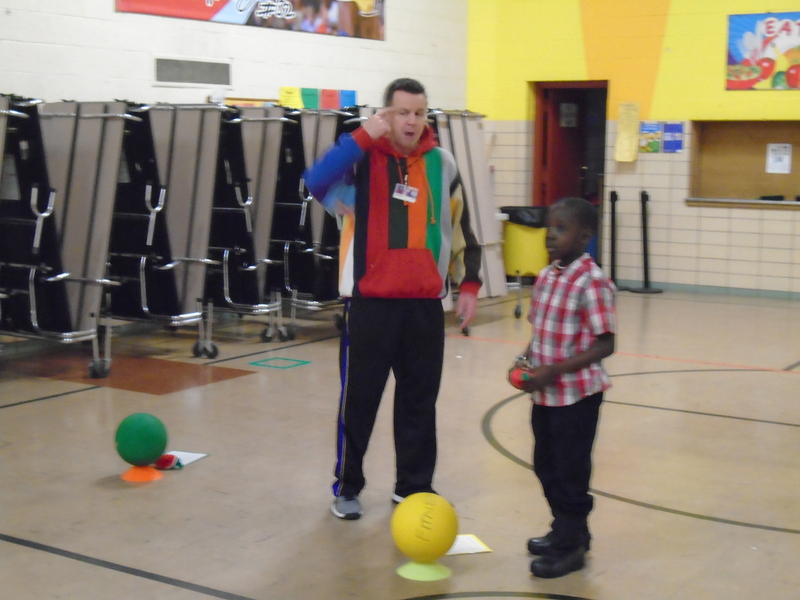 It was fun to discuss ways I use technology apps to stay healthy, work out, track my activity, etc. Throughout the building, there were lots of QR codes that linked to healthy recipes, websites of local businesses and other related media. 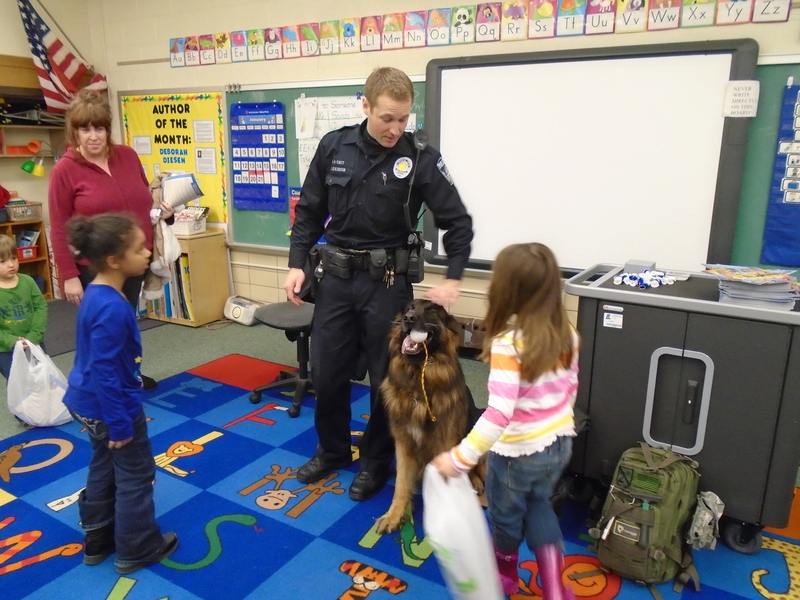 We had our friends visit from the Lansing Police Department. The police officer spoke to students about staying safe, following rules, and talked to us about the canine unit. I never realized how big those police dogs are – and how muscular! – until I got up close to them. Wow! He was so sweet, though. Snuggles with a soft, fluffy dog was a great way to relieve some stress! Several Physical Education teachers set up some agility games in the gym. Kids really worked up a sweat! Another community partner in attendance was Lansing Urgent Care. Have you ever used an urgent care center? I really like being able to just pop in when I have a non-emergency. It’s often a lot quicker to get an appointment and prescription when you’re feeling ill. It’s also a great alternative to the emergency room for sprains and strains. 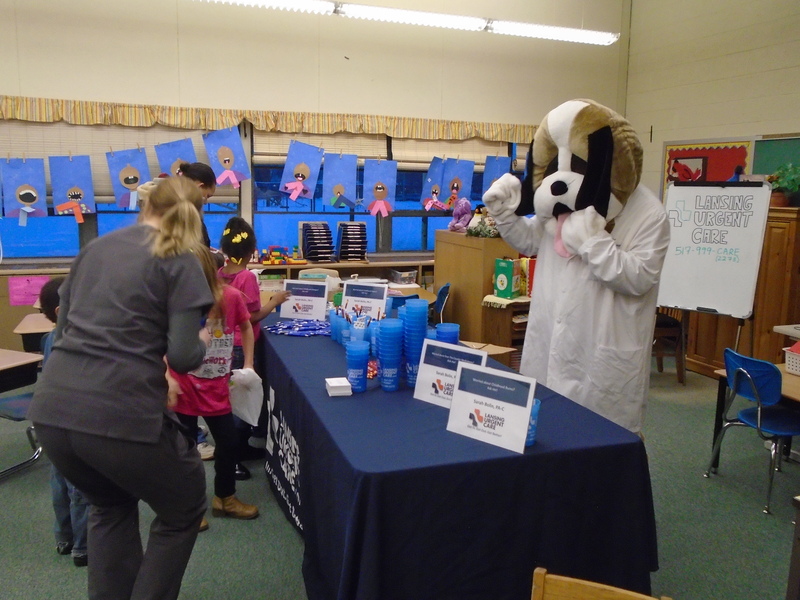 They had some great items to give away and lots of good information about when it’s appropriate to visit the urgent care versus when to head to the emergency room. We are so blessed in Lansing to have an elaborate system of trails for running, walking, and biking. I utilize the Lansing River Trail at least once a week, but many more times in the warmer months. The trails run all across the city of Lansing, along rivers, roads, through wooded areas, and all the way to the Capitol! The City of Lansing maintains these trails, which is so great in these snowy winter months! 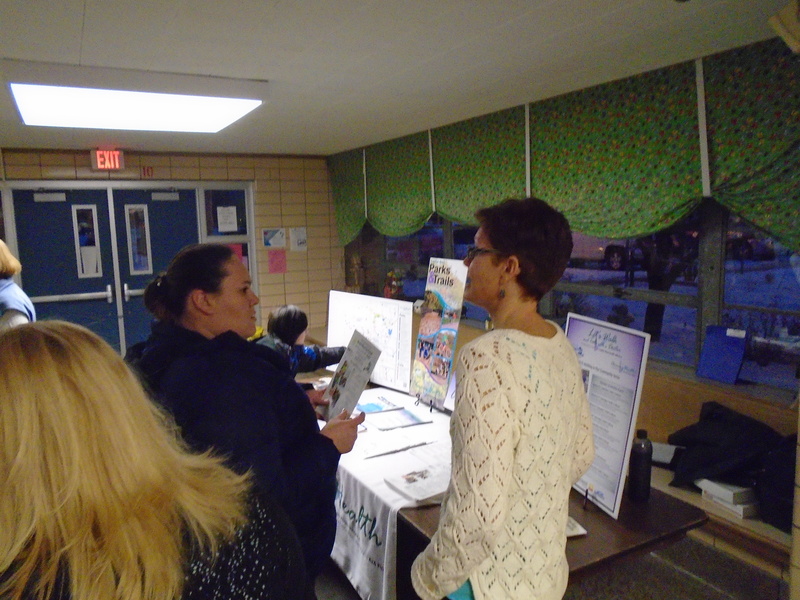 These are just some highlights; lots of other community partners were present – American Red Cross, Sparrow Hospital, Lansing Board of Water and Light, etc. It was a fun and informative evening. 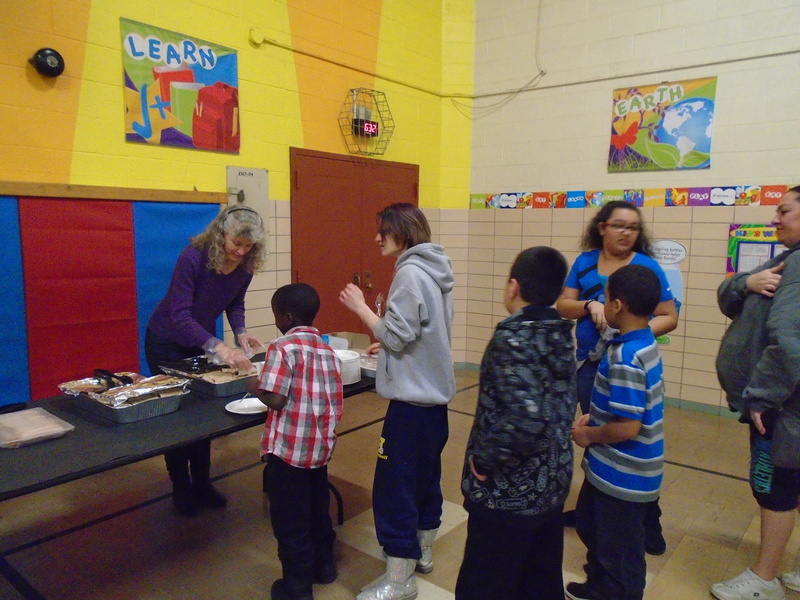 We concluded the evening with a healthy meal generously donated by Faith Church. The menu included salad, turkey wraps in whole wheat tortillas, and fruit kebabs. I love that the meal was so tasty and healthy. So many times we hear the word healthy and think yuck. But it is possible to eat well and have food that tastes good. And I don’t know about you all, but I always feel better when I fuel by body with healthy, wholesome food that has been as minimally processed as possible. 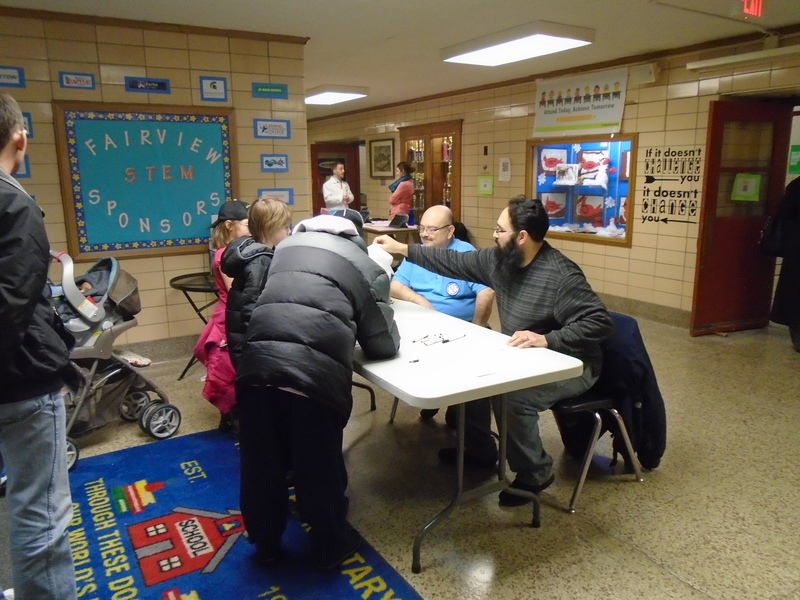 Mr. Stalter and the staff at Fairview STEM did a great job of organizing this event. 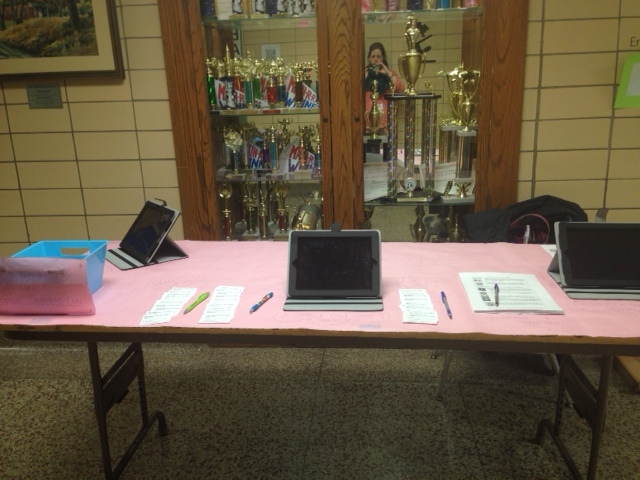 I was thankful to be part of the Health Fair. I can’t wait to participate again next year!